Former Emmerdale actress Adele Silva enjoyed some mother-daughter time with daughter Sienna Evie, 6 months, during a family holiday in Tenerife recently. She joins big sister Sophia Ruby, 4. David Arquette and wife Christina McLarty took their son Charlie West, 12 months, to a park in Malibu on Sunday, May 24th. The actor is also dad to daughter Coco Riley, 10, with ex-wife Courtney Cox. Tamara Ecclestone and daughter Sophia, 14 months, strolled along Monaco harbour on Saturday, May 23rd. Little Sophia brought her dolly along for the trip and had a cuddle with her mum as they walked. 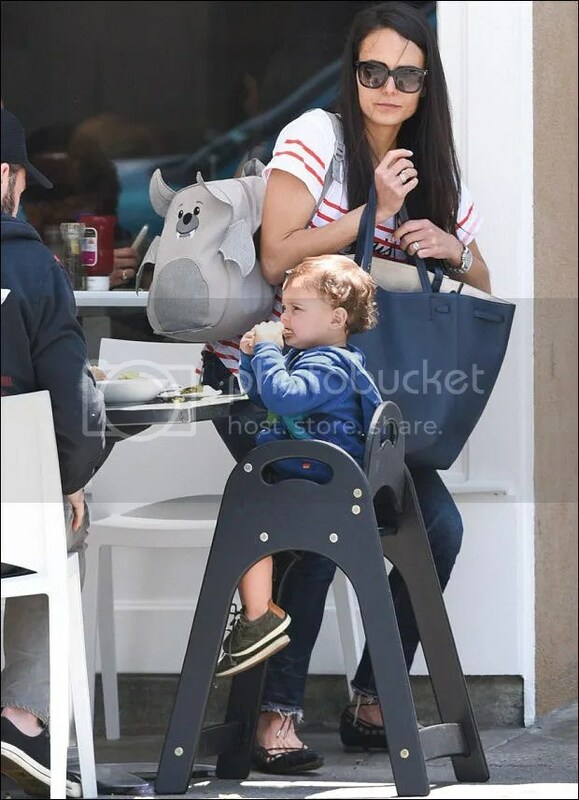 Jordana Brewster and husband Andrew Form went for lunch with son Julian, 20 months, on Saturday, May 23rd. Rachel Zoe and husband Rodger Bergman were spotted leaving a Starbucks in Beverly Glen, California, with sons Skyler Morrison, 4, and Kaius “Kai” Jagger, 17 months, on Saturday, May 23rd. Singer Fergie and husband Josh Duhamel took son Axl Jack, 20 months, to a park in Brentwood on Friday, May 22nd. Tamara Ecclestone and Sophia, 14 months attended the Amber Lounge Charity Fashion Show for Autism Rocks at the Meridien Beach Plaza Hotel in Monaco on Friday, May 22nd. Kimora Lee Simmons keeps a hold of her 1 month old son Wolfe Lee while out and about shopping in Beverly Hills on Thursday, May 21st. 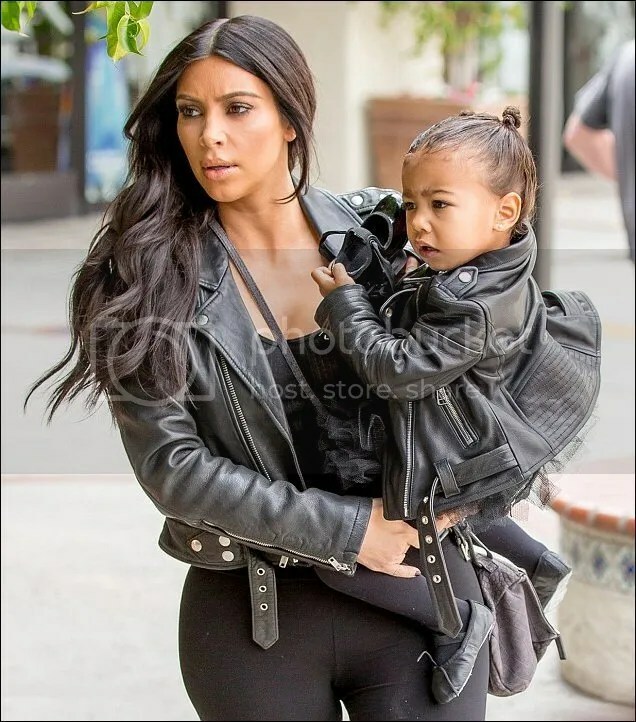 As well baby Wolfe she is also mum to daughters Ming Lee, 15, Aoki Lee, 12, and Kenzo Lee, 5. Actress Liv Tyler and son Sailor Gene, 3 months, were spotted in New York on Wednesday, May 20th. The pair — along with Liv’s boyfriend Dave Gardner had flown in to JFK airport from Los Angeles. 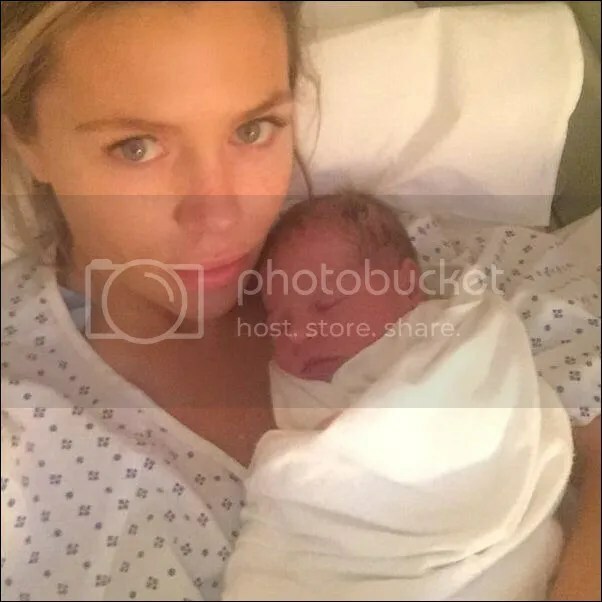 She is also mum to son Milo Willam, 10. Dave is also dad to son Grey, 7. Alec and Hilaria Baldwin — along with daughter Carmen Gabriela, 20 months, attended the Ed Sullivan Theater in New York on Wednesday, May 20th to watch David Letterman host the Late Late Show for the last time. The pair expect their second chid together and first son in coming weeks. 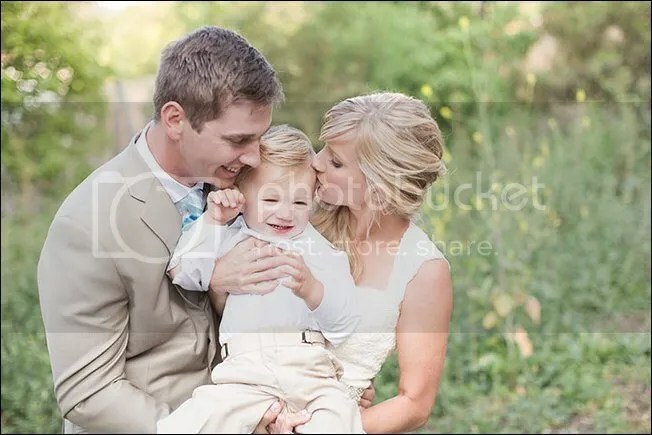 Glee‘s Heather Morris married boyfriend Taylor Hubbull at Old Canyon Ranch in Topanga, California on Saturday May 16th and shared a tender moment with their son Elijah, 20 months. Tamara Ecclestone and husband Jay Rutland strolled through Cannes with daughter Sophia, 14 months, on Tuesday. May 19th. The mum of one kept cool by wearing a loose fitting dress with a black bikini underneath. 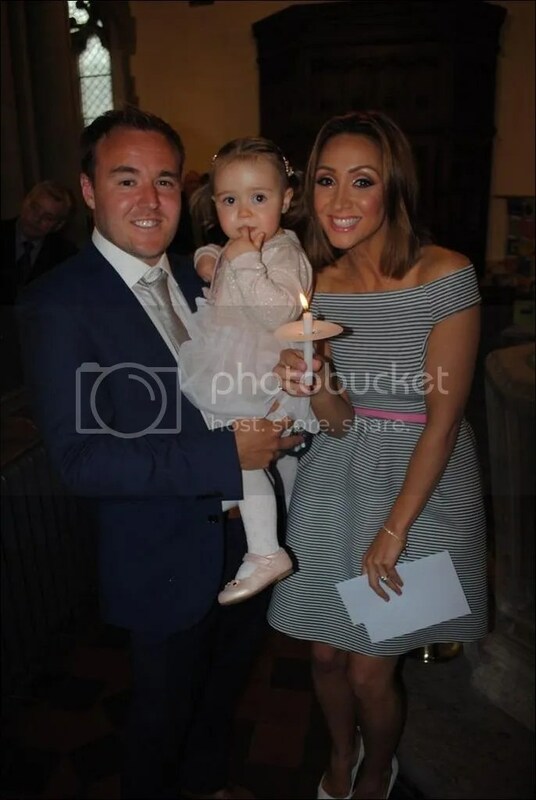 Coronation Street actor Alan Halsall and wife Lucy-Jo Hudson celebrated the Christening of their beautiful 20 month old daughter Sienna-Rae at Worsley Park Marriot Hotel and Country Club in Manchester on Sunday, May 17th. Their special day was also jointly celebrated with Alan’s nephew Max. The 32-year-old’s fellow Coronation Street cast mates Jennie McAlpine Samia Ghadie and Simon Gregson were also in attendance. After the ceremony everyone was treated to a part Frozen themed bash — which included a soft play for the children. Model Lara Bingle and husband Sam Worthington went for a stroll with son Rocket Zot, 9 weeks, on Monday, May 18th. Tamara Ecclestone and daughter Sophia, 14 months, went sight seeing around Cannes on Sunday, May 17th. Singer Fergie and husband Josh Duhamel [not pictured] took son Axl Jack, 20 months for a Sunday football kick about in Brentwood on Sunday, May 17th. The tot was all ready for the kick about as he was dressed in a football kit.